We would like to receive CV and motivation letters from you as SO until 10 th of January. In motivation letter must be mentioned why this person wants to work with kids with special needs. After 10th of January, together with HO, we will arrange the Skype conference and choose the volunteer. – improve qualifications of pedagogues by providing conditions for the improvement of foreign language skills, learning about other countries and cultures. The Vilnius Special School seeks to enable schoolchildren with fewer opportunities to learn and improve their foreign language skills, feel important and able to learn, for example, understanding, tolerance, communication and social skills, different cultures and geography, from one another. The project will also serve as a means to deal with social exclusion problems, since children with fewer opportunities are still unwanted in public spaces. By carrying out their primary duties with a target group (i.e., working with special needs children) and participating in other activities (e.g., activities initiated by volunteers), volunteer will contribute to the solving of issue of the lack of non-formal education workers (accompanying children on various trips, initiating events, celebrations), propose ways of improving the quality of the school’s activities, etc. In the Special School, volunteer will be working directly with children with complex disabilities (intellectual disabilities, autism, Down syndrome, etc.) aged 7 to 21. It should also be noted that there are several young people with disabilities (Down syndrome, developmental disorders) employed by the school (as security guards, cloakroom attendants, etc.).  as they will be working with highly sensitive people, volunteer have to be tolerant, positive and wishing to make friends with the children. We find the following traits important in our volunteers: motivation, initiative, responsibility, care, quick response to various situations and the ability to handle problems, punctuality, creative thinking, public speaking and teamwork skills. Preferable age of volunteer: from 20 to 30.  While performing routine (daily) tasks, volunteer will learn to plan his work and activities. Disciplined work will also teach them dutifulness, consistency, the ability to assess and generalise their needs, and to divert their energy in the right direction.  While working with the target group, i.e., the schoolchildren, volunteer will become more sensitive to social issues, tolerant, he will improve their communication skills, acquire skills of working with the disabled, and learn to apply non-traditional therapeutic methods (e.g., music, art, theatre, ARBA, etc.).  While participating in other activities, i.e., Erasmus + KA2 project (Lithuania, Portugal, Poland and Estonia), art projects funded by the Lithuanian Council of Culture and events initiated by the volunteer, the volunteer will learn to show initiative, gain confidence, become more aware and responsible. All planned activities will improve volunteer&#39;s foreign language competence, civic and social skills, ability to use formal and non-formal education methods. Regular meetings with mentor and feedbacks of gained knowledge will reveal the grow of a volunteer. – When organising routine (daily) tasks (e.g. 3) Teamwork (special educator, assistant, volunteer): preparation for the lessons, the events, the school trips. 4) Feedback – discussing outcomes and a plan of the event with a team). – Volunteer’s interaction with the target group (i.e., special needs students) (e.g. 3) Technology activities with SEN children’s: shopping, cooking, house cleaning and etc. 4) Support for the individual’s needs (child with autism, Down syndrome, mental disabilities,…)) will bring new ideas, direct communication and dynamics to the classes, which will stimulate mental activity of the disabled, promote positive emotions, motivate, and contribute to the improvement of cognition, social and communication competencies. 3) i giving a lecture/workshop/event; activities with Antakalnis community). Active community will become an integral part of the cultural life of the school. This activities will change the society’s view of the disabled children, since the volunteer will accompany them during various trips, organise non-formal education lessons in public spaces. This activities will help SO to cooperate with various new organisations and instituorion implementing various volunteer projects or other projects which involve children, especially disabled. The volunteer will have the opportunity to learn more about the Lithuanian education system, compare it to the system in their own country, reflect and share their insight with the pedagogues. 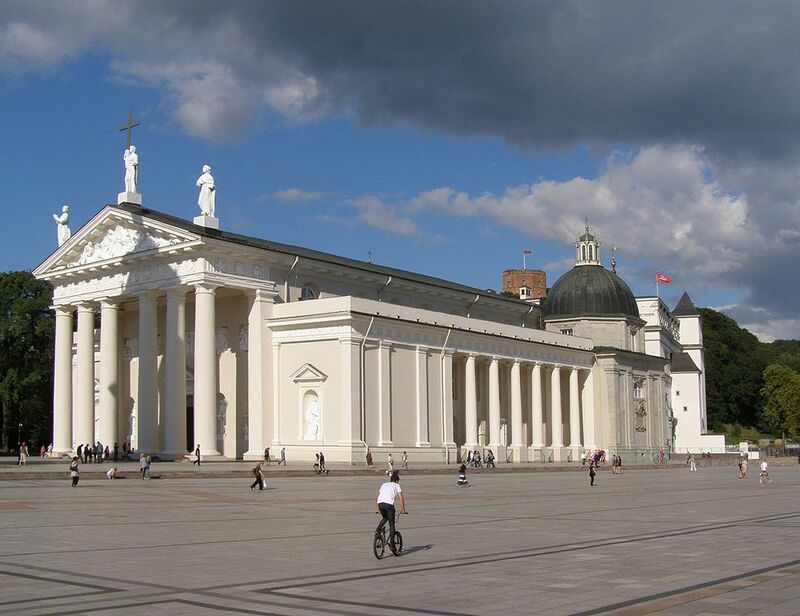 The Special School of Vilnius is a general education school of Vilnius City Municipality, and it provides a compulsory basic special education to children with various developmental, intellectual and complex disorders. The school provides educational and psychological assistance to families, and helps the parents understand the psychosocial needs of their child and see future prospects in an appropriate light. School has 73 students from the ages of 7 to 21. Out of the 73 students, 30 do not speak. As many as 27 autistic children study at the school, which is the highest number among the special schools of Vilnius. The school successfully implements health-related (e.g. Fruit for Schools, Milk for Children, Mobile School), social (e.g. Christmas Fair of the Sapiega, exhibition of drawings in the Antakalnis Library) and vocational guidance (e.g. Educational Livestock Farming Program of the Ministry of Agriculture) projects. Over the course of a year, the school implemented 15 creative and educational projects (e.g. Apple Day, Pie Day, The Week of Nordic Countries‘ Libraries). The Special School of Vilnius successfully collaborates and shares it&#39;s experience with several special schools in Vilnius (Aidas, Atgaja) and the Vilnius Technology Training and Rehabilitation Centre. Every year, School organise qualification development courses for the special needs teachers, psychologists and speech therapists of Vilnius working with special needs children. In order to improve the conditions necessary for educating children, School has been creating a multisensory relaxation room over the 2015-2016 period and have already completed a common library and art laboratory space. Since 2016, the students have been participating in hippo-therapy sessions at Lietuvos Žirgynas UAB (Vilnius District). The school organises music therapy sessions and has a theatre group.